NOTE: As we near Halloween, I will be reposting older blogs on this theme. This post was originally titled “Autumn’s Miscellany.” If you want more Halloween themed writing, you can always read my new story, Jolly Rogers: A Story About Boyhood which is set on a magical Halloween night. If not, enjoy the post below from last year. Also note, this year’s Autumnfest was a smashing success. Fall has announced itself with all the tell-tale signs of autumnal change. Leaves are falling gently to the ground. The temperature has dipped low enough to require a jacket or coat when leaving to go out and about. The rain has picked up in intensity and frequency. The World Series is on the television. Supermarkets are selling large amounts of chocolate candy. The first round of conferences at school. Three items are on my mind this Friday evening, even if they are only loosely related by being specifically fall topics. 1. Apparently corn is a tricky substance–(link and more link)? A man and a woman were so befuddled by a corn maze that they not only could not find their way out, but they called 911. That’s right, they called 911 to rescue them out from a corn maze. Really? Part of the reason they called 911 was because they had a small baby. I worry about the safety of that child. I mean, I grew up in cornfields and often harvested it by the bushel or even in heavy years truckload. Corn is not dangerous. You can walk right through it. It is not an M. Night Shyamalan movie with aliens in the field nor is it a creepy movie about children who live in the corn. Its corn. I wonder if this was not some kind of prank, because it is hard to imagine this. 2. Halloween, though eschewed by many Christ-followers (for completely understandable reasons) is a wonderful time to meet your neighbors and interact with the world. 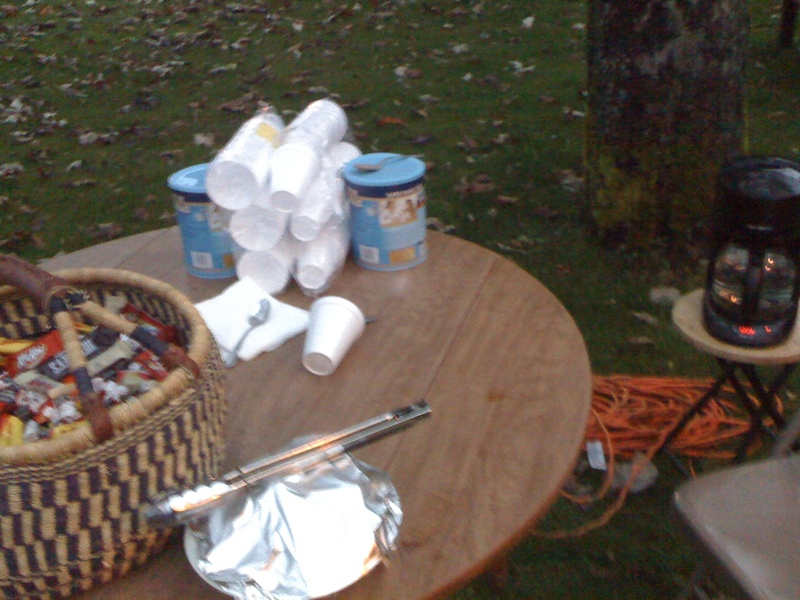 Last year I began a practice, which I will do again this year, of serving up hot cocoa for my trick-or-treaters as well as yummy candy. I’ve found sometimes parents like the hot cocoa and it allows for a moment of social interaction. I also like to emphasize, in our worship, Reformation Day (although I am far from reformed, but admire the boldness of the Reformers) and appreciate the liturgical aspects of All Saints Day. It is a neat time of year with rich and meaningful religious themes. 3. 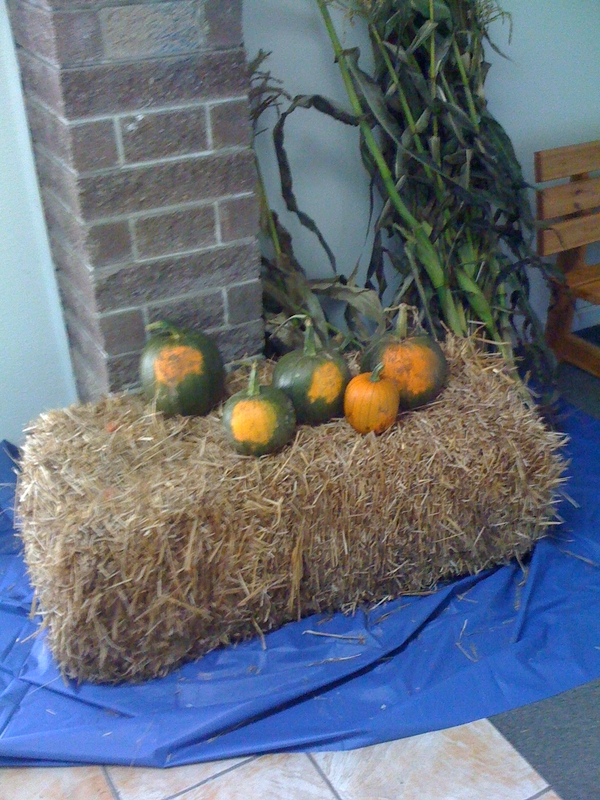 Many churches participate in some kind of Fall Festival or Halloween-ie-esque party. Ours is called Autumnfest and is this Sunday. I’ve been trying to think up of different names we could use, though. Maybe Pumpkinalooza. Cake-Walkathon. Candymania. Sugar High and the By and By. XtremeChurch. Corny. Corn Pone 2011. It is hard to find one particular name that covers all we do—hayride, food, cake walk, sack races, preschool games, etc… It is always great fun, a sort of heritage celebration of how we used to be; back when the harvest was important to most every family and America was an agricultural agrarian society. Our Autumnfest always has a bit of everything.